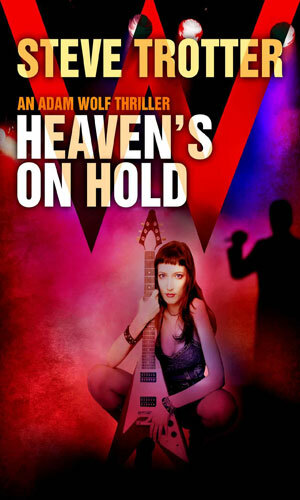 Adam Wolf is a retired Intelligence operative. In the thoughts that Wolf has on more than one occasion, it is obvious to learn that most of his adult life, from the time he joined the American military and went into the Special Forces to when he transferred to Special Operations as a civilian for an unnamed Intelligence agency, he has fought in all corners of the world. He caught the tail-end of Vietnam. He saw far more of the Middle East than he wants to remember. He also witnessed too many of his brothers and sisters in arms not make it home alive, something that weighs heavy. Now as he celebrates his 60th birthday at the opening of the series, he is happily retired from that life. He still maintains very close ties with two of his fellow warriors, especially one whose nickname of Night Owl reflects his lifestyle to a tee. But the cloak and dagger world is happily behind him and he is quite content with his new one. Adam Wolf, former soldier and Intelligence ops, writes children's books, as many of those he talks to call them, or young adult adventures as he refers to them as. It is, he has to remind people, not as easy as it sounds. It is also not terribly profitable but money is not a huge issue with him and his numbers on the ebook market are starting to get notice and it is fun and no one is trying to kill him for doing it. He does his writing in Montreal, a city he has grown to love despite its odd insistence in forcing signs to be larger in French than English. He enjoys triple citizenship thanks to a Canadian father married to a British mother who happened to be across the border in the States when Adam entered the world. Life is pretty good for the retired agent. He is still single. He has a steady girl friend, a very attractive woman just over a decade younger than he. He has many good friends, including Night Owl, nearby. He has a male stray cat named Casper who comes and goes as he wishes and lets Wolf feed and house him on occasion. He is content. He is also not a man to turn his back on trouble, as those that think an old man who writes kiddie books should do. He may be getting up there in years but he is far from dead. Celebrating his 60th birthday with the lady in his life, Adam Wolf did not know the man who came in to kill a reporter in the restaurant but he recognized the type. Soon he picked him out from a mug shot and became the only witness willing to testify. That meant the Mob was out to kill him, a mistake for the Mob. A mob boss takes exception to a famous singer's stance on wife abuse after his left him. He swears the songstress will die horribly and kills another female singer to prove it. Adam Wolf is asked by a friend to help provide protection. I started reading this book because it looked very interesting and it had one of my favorite themes - bad guys picking on the wrong dude. As I read more, I was really enjoying myself even though I knew the first book really was not a spy novel but a crime book which just happened to have as the protagonist a former spy. It was obvious, though, that without the many years of experience and training the character had, he would not have attempted the things he did much less survive them. But he was very good and as the bad guys learned, he still is. The second one was a fair amount different in that he was taking time from his storytelling to help out in a bodyguarding gig his friend Night Owl had arranged. Here again there was no espionage activity or international intrigue going on but without the operatives' backgrounds and contacts, much of which happened could not have. So I finished the two books happy that I read them, knowing they were about a former spy but were not really spy books themselves. They were just fun enough, and close enough, to not write about them. I really enjoyed the books. The main character makes a couple of pretty boneheaded moves (in my opinion) which results in trouble getting worse but he has the decency to admit later on they were mistakes. Both books tend to slow down a tad about two-thirds of the way through but they they pick up again quickly and really go out with a bang. 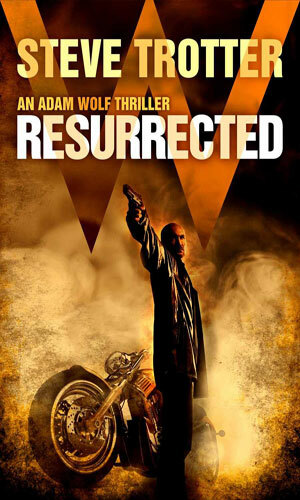 If and when the author decides to bring Adam Wolf back for more fun and games, I will be on hand to read them.